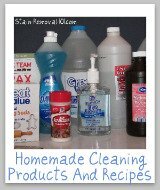 Here is a round up of tips, instructions and product recommendations for how to clean your coffee maker. 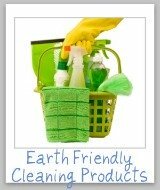 Many of these tips are focused on how to remove the mineral deposits that seem to form inside the machine with time. 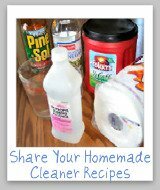 Here are the tips submitted so far for how to clean this common kitchen item. 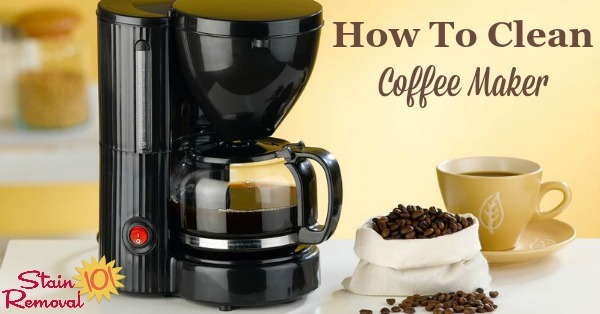 Many of us like to use our coffee makers every morning to make a fresh pot for ourselves. 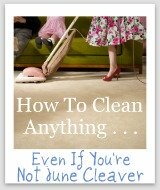 This habitual use, however, over time can start to make your coffee maker not run as well, either because of hard water build up or other dirtying of the maker. 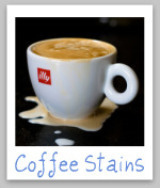 This, in turn, can cause the maker not to run as well and/or cause the coffee not to taste as good. 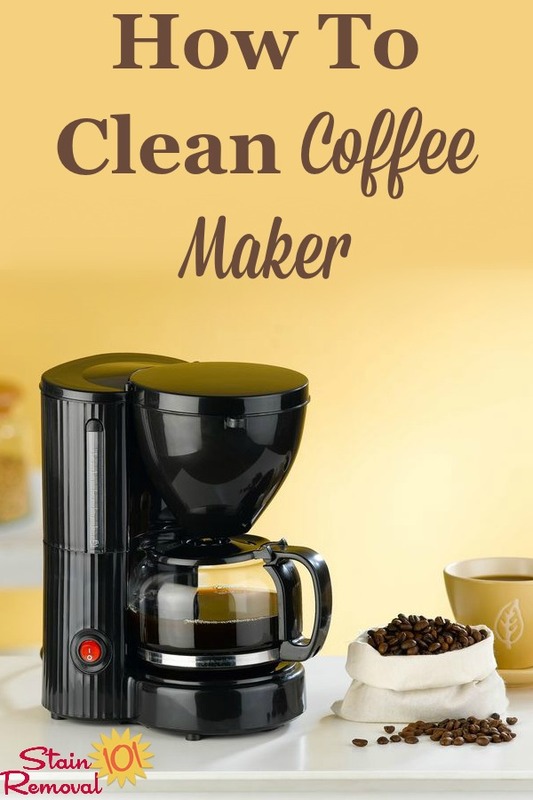 There are lots of ways to clean your coffee maker, so share your tips with me below to share how you do it. 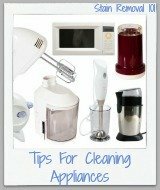 Please note that you can share your tips for how to clean coffee pots here, or read other tips already submitted, since cleaning the pot and the maker may take slightly different steps. 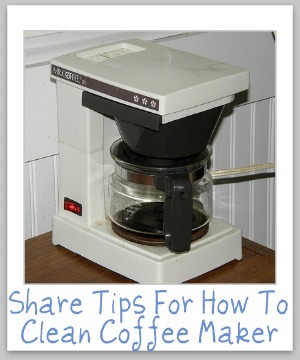 Coffee makers are a common object that needs cleaning in our homes, so share your tips with me for how you do it.